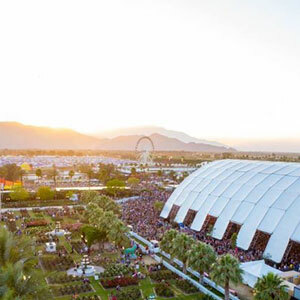 Coachella is halfway over, we’ve now entered that Groundhog Day-style limbo between weekends when the fest’s monster lineup is dispersed up and down the west coast, playing surprise gigs and lamping golf course pool-side. A lot happened this weekend – Madonna apparently found her next victim, Justin Bieber was allegedly choked by security, Clint Eastwood was initially denied entry and a lot of bands played. Festivals are as much about camaraderie as they are about performances. They’re about moments, shared experiences, highlights and memories. We’ve put together a list of the tracks that summed up Coachella for us, songs that captured the vibe, that we’ll always remember, in that setting, from now on. Danny Tenaglia showed Coachella crowds why he’s revered as one of the DJ greats with a heavy dose of house and techno. As the New York legend threw down, red lights flashed ominously overhead, putting dancers in a disoriented state. The telltale synthline from Octave One’s 2002 opus, “Black Water” – featuring Ann Saunderson (wife of techno icon Kevin) – had people flooding the dancefloor.